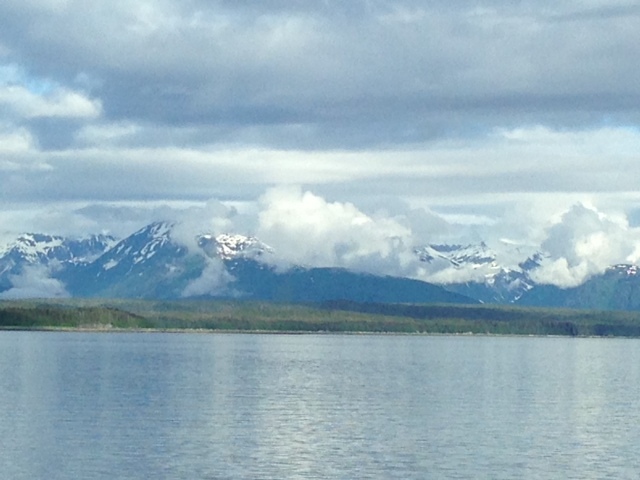 This blog is written from the LeConte, an Alaska State Ferry traveling from Juneau to Hoonah. 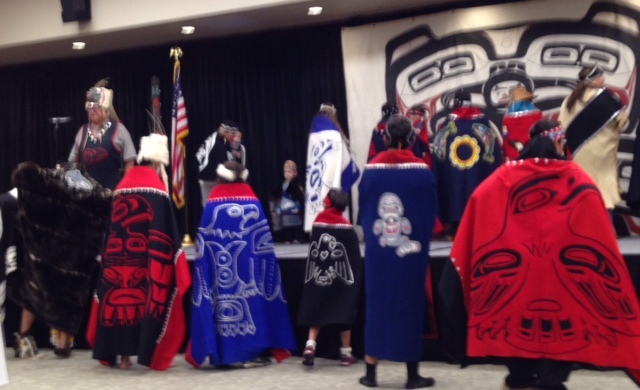 The kids and Ted and I have spent the last three days in Juneau, at the gathering of Tlingit and Haida natives which takes place once every two years. 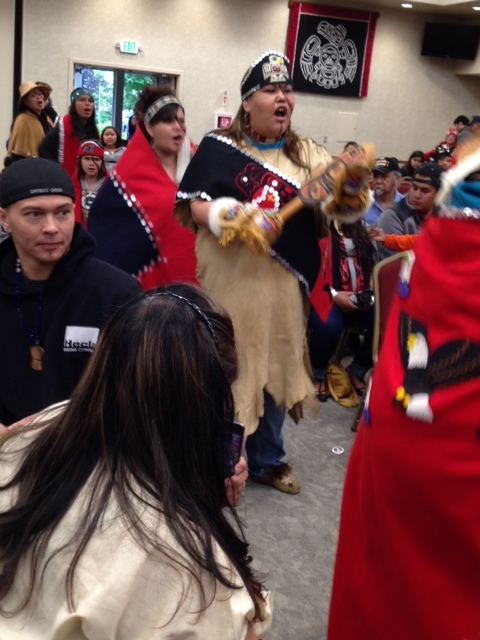 Groups from the many villages from Alaska and British Columbia come together to share their songs and dances, old friends reconnect and there is dancing and drumming non-stop. 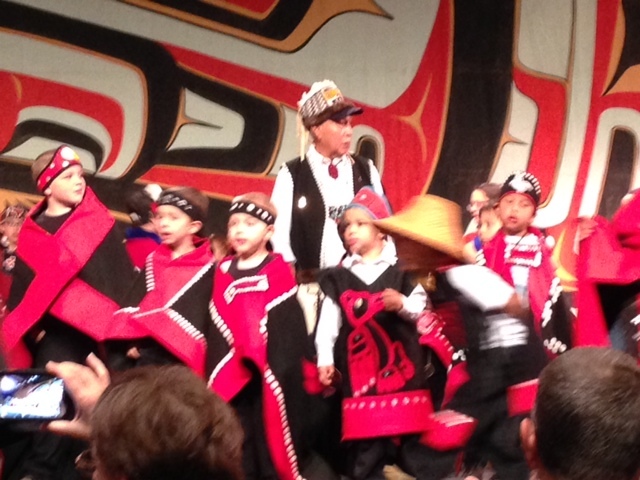 The singers and dancers wear regalia representing their clans, decorated with buttons, beads and fur. It is a time to renew cultural values and remember their heritage. 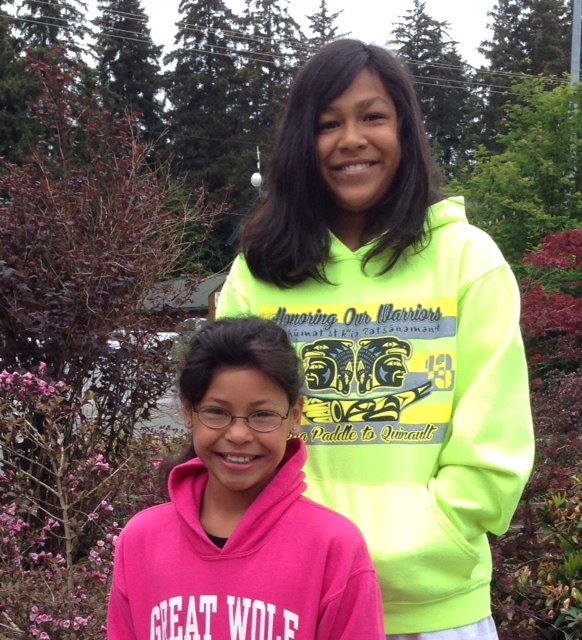 Seneca and Raven are enrolled Tlingit tribal members and it is a good to see them get excited about this part of their heritage. The day we arrived we went to Douglas Island to watch canoes arrive from some of the villages. There were about 10 canoes. 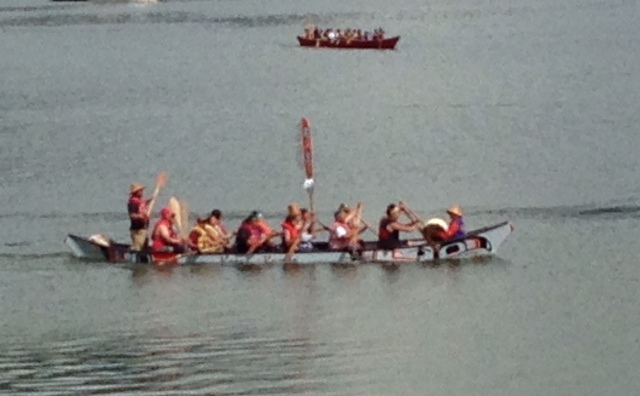 The ceremony was quite different from what we have seen locally, the paddlers had stopped and changed into their regalia just before arriving. They circled for most of an hour then rafted together and came to shore as one. 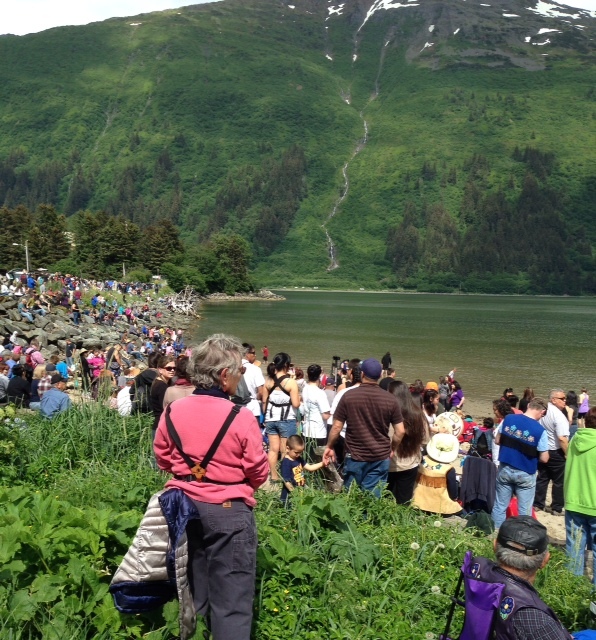 It was estimated that 1500 people waited on the shore to greet them, singing and drumming while waiting. 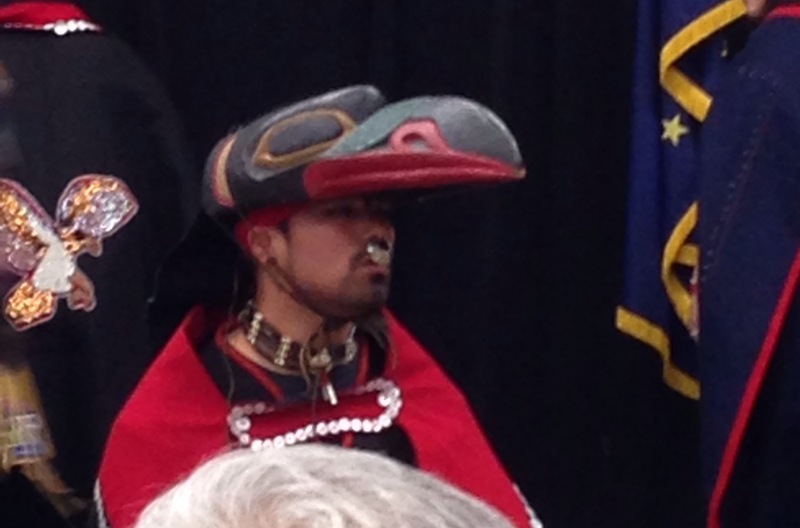 From there we went into Juneau to watch the dancing, we spent hours watching and did some volunteer work as well. 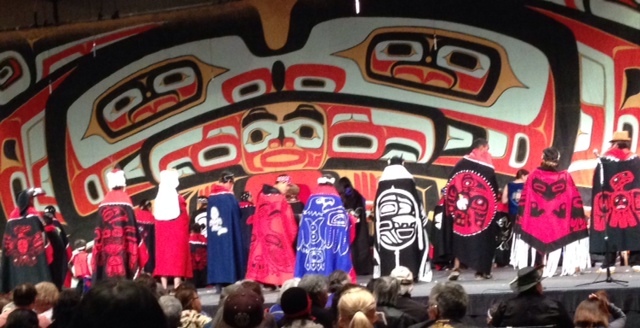 Dancers show the backs of their regalia, which show where they are from. 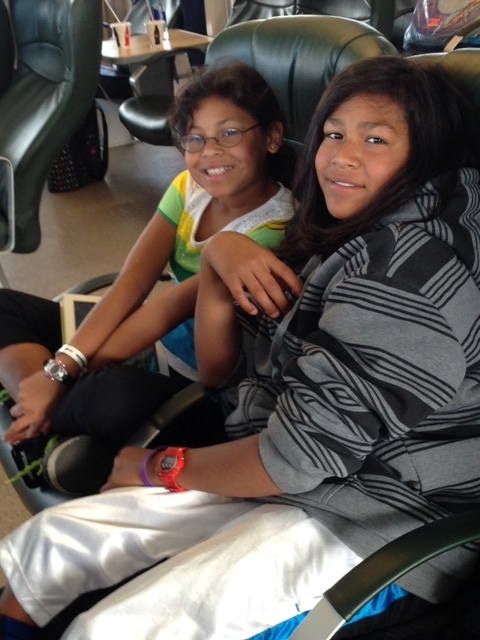 Seneca and Raven’s relatives are from the village of Hoonah which is a three hour ferry ride from Juneau. 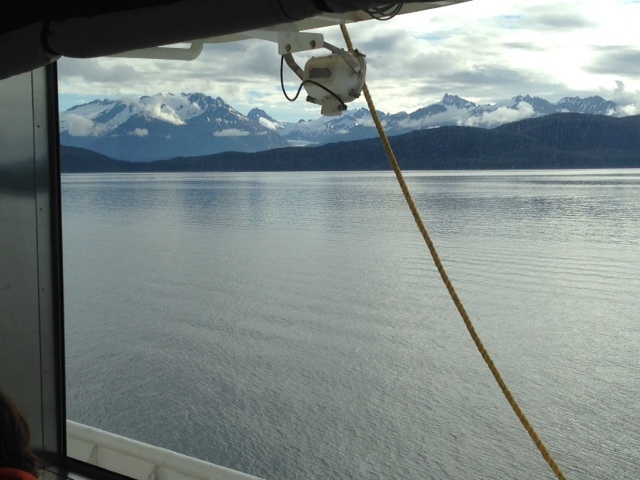 We have been there before and look forward to our visit as well as to the ride itself through islands and past mountains, with the hope of seeing whales keeping us looking out to sea. Looking back we can see the Mendenhal Glacier coming like a river down the mountains. Seneca and Raven are occupied at the moment with computer games and a phone call just came to Ted’s cell phone to wish him a happy Father’s Day, so we remain connected in many ways. 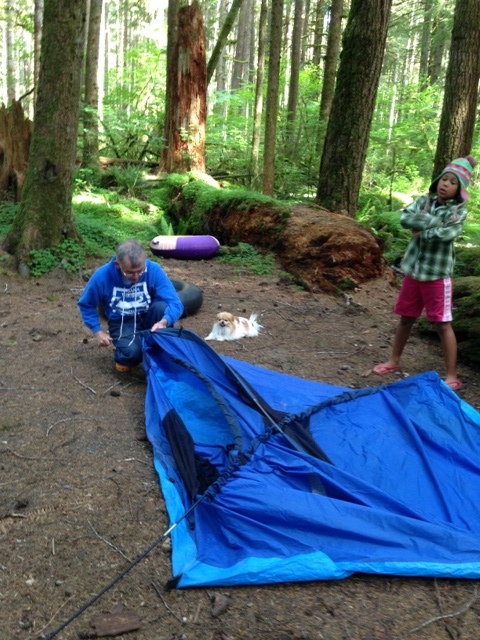 We are so fortunate to live in an area surrounded by wilderness with dozens of campgrounds within an hour’s drive. 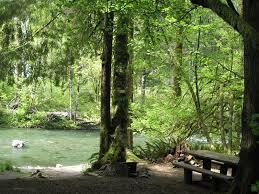 One of our favorites is Klahowya on the Sol Duc River, about 45 minutes away. “Klahowya” is a greeting meaning “welcome” in the Chinook jargon. 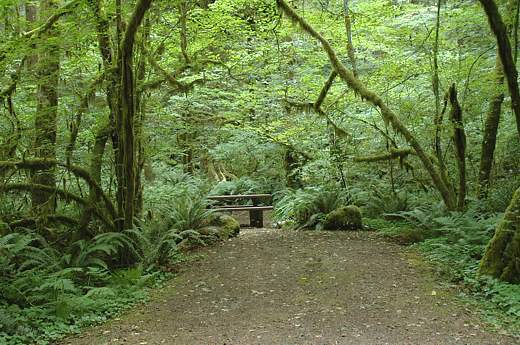 It is an incredibly beautiful spot with huge, old, moss draped trees growing above an understory of vine maple and other lower growing greenery. This week we decided to pack the motor home and drive out on Thursday night and drive back on Friday morning for school and work. We were the first campers to use our favorite site this year and we gathered the small sticks and limbs that had fallen over the winter and had a lovely camp fire. It was a little chilly waking up on Friday morning but we quickly got ready and headed for town. It is a tight fit for our motor home but Ted good at getting it into tight places. We took some walks along the river. 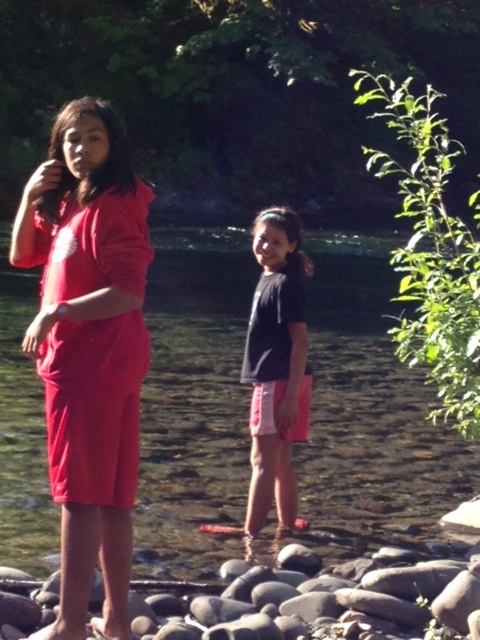 The water was very cold but that didn’t stop Seneca and Raven from doing some wading. 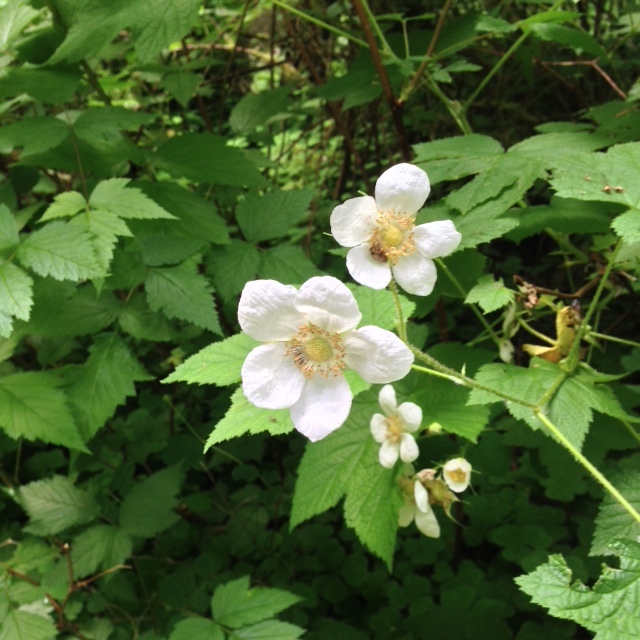 We found fungus, a dried out wasps nest, many types of wild flowers and dozens of types of moss. 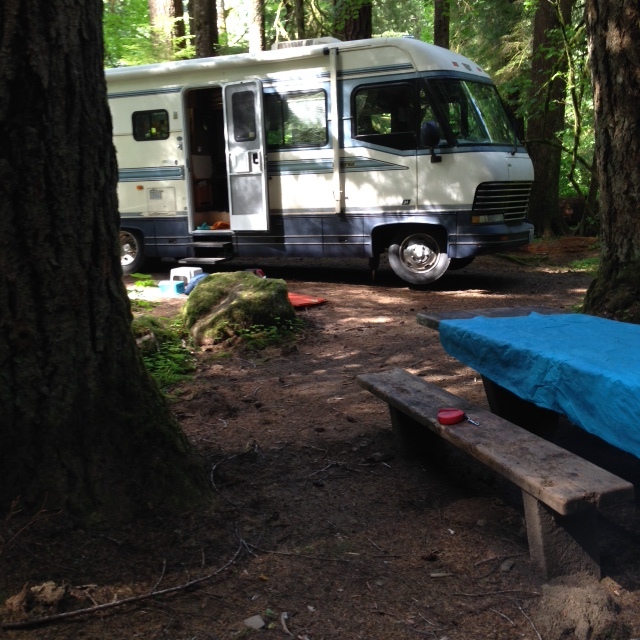 We pretty much had the whole campground to ourselves. Ted had a storytelling event to attend in Port Angeles Saturday night, so we had to head home, but it was a refreshing mini-vacation, and we know the motor home will be in good shape for our vacation in Eastern Washington later this month. But we will be back to Klahowya!! 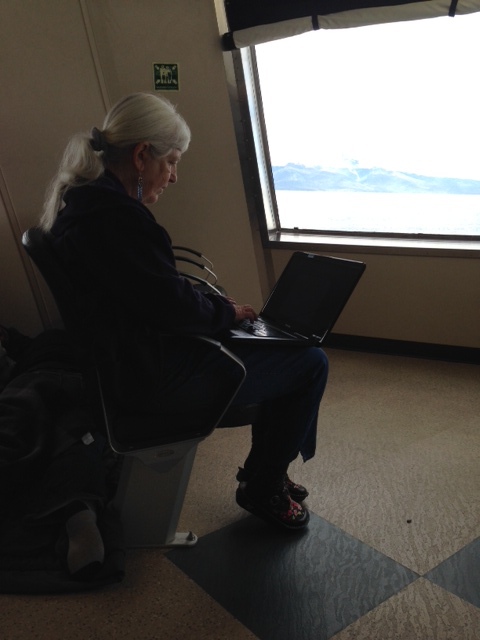 Thanks to those of you who have left comments on previous blogs, I love to read them!! A couple of years ago, six or seven of the women who live up here at Lake Dawn formed a book club. We take turns choosing a different book each month and then read and discuss it. In May we read Barbara Kingsolver’s book “Flight Behavior” and one of the themes was the fact that the main character had given up many of her dreams to marry at a very young age and become a parent. This lead to a discussion and someone asked if any of us had been married young and never lived alone. I was not the only one who went from my parents home to married life at a young age. Luckily things turned out well, and 53 years later I am very grateful to have made such a good decision when I was still very young. A few days ago I was thinking about toothpaste and how I have never had toothpaste of my own, I have always shared the family toothpaste. I decided to step out and purchase my own. 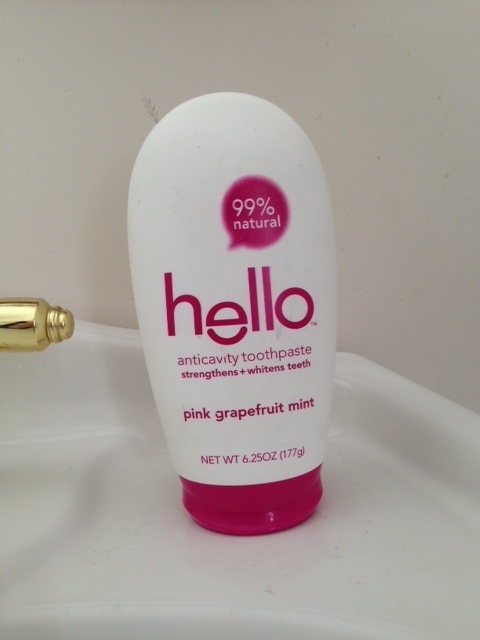 I found that it now comes in a variety containers types and I purchased one in Pink Grapefruit flavor. 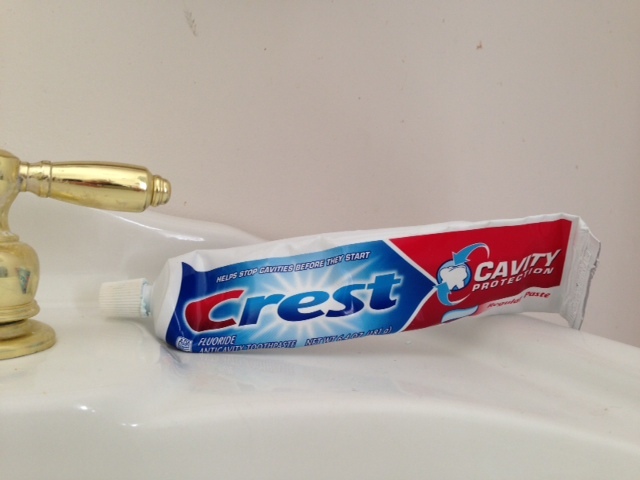 I love using my new toothpaste and I don’t know why I didn’t think of this long ago. And I feel very independent using my very own toothpaste.